The piece, created by artist Brian Tolle, is a fabricated stainless steel sculptural line drawing of a recycled shopping bag. 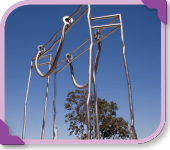 The sculpture is 20 feet high, 16 feet wide and 9 feet deep. The piece is illuminated by built-in LED lights which project a broad range of colors at night. The structure is crimped and textured in places to show that the bag is recycled. Walter H. Deubner invented the shopping bag. 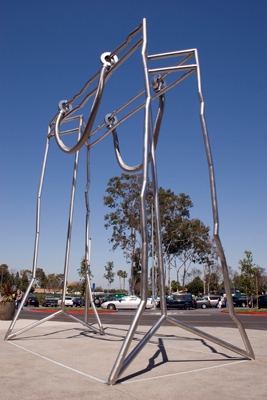 The sculpture was commissioned by the Los Cerritos Center as part of a mall expansion and renovation project. In 2010, a new 138,000-square-foot Nordstrom and 36,500-square-feet of new in-line shops opened at the Los Cerritos Center.